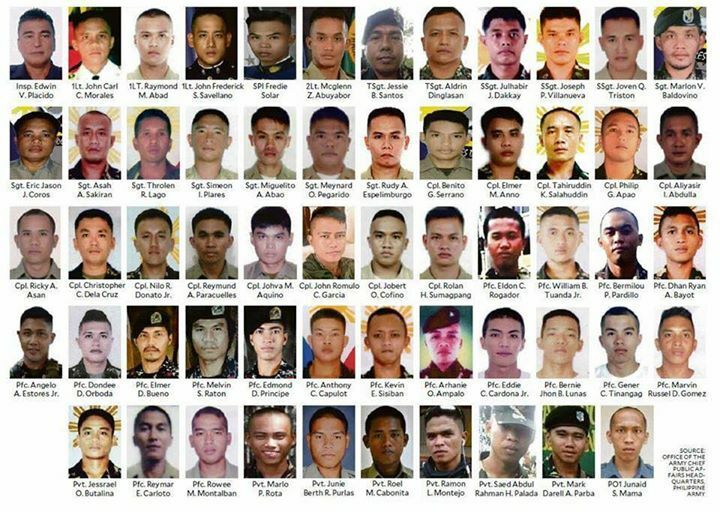 List of Fallen Heroes in Marawi Siege #BraveSoldiers - Exam News, Reviewer, Military Career, & Everything [MN] . .
We make tribute to the heroes who made the supreme sacrifice in service of their country and countrymen against terrorists who endangered the lives of the people of Marawi City. They fought to Marawi people from the terrorists group Maute- ISIS, They offered their life for our nation Philippines , Now, their mission is already accomplished. Rest in Peace, our brave soldiers, we will not forget you! We will continue to update this post as soon as the war will end in Marawi.